Since 1948 the United Nations Educational, Scientific and Cultural Organization (UNESCO), upon the recommendation of the General Assembly of the United Nations, has been concerned with facilitating the translation of the works most representative of the culture of certain of its Member States, and, in particular, those of Asia. One of the major difficulties confronting this programmer is the lack of translators having both the qualifications and the time to undertake translations of the many outstanding books meriting publication. To help overcome this difficulty in part, UNESCO’s advisers in this field (a panel of experts convened every other year by the International Council for Philosophy and Humanistic Studies), have recommended that many worthwhile translations published during the 19th century, and now impossible to find except in a limited number of libraries, should be brought back into print in low-priced editions, for the use of students and of the general public. The experts also pointed out that in certain cases, even though there might be in existence more recent and more accurate translations endowed with a more modern apparatus of scholarship, a number of pioneer works of the greatest value and interest to students of Eastern religions also merited republication. 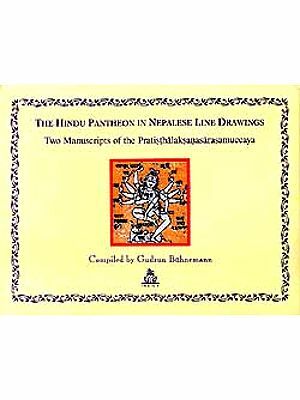 This point of view was warmly endorsed by the Indian National Academy of Letters (Sahitya Akademi), and the Indian National Commission for UNESCO.It is in the spirit of these recommendations that this work from the famous series “Sacred Books of the East” is now once again being made available to the general public as part of the UNESCO Collection of Representative Works. First, the man distinguished between eternal and perishable. Later he discovered within himself the germ of the Eternal. This discovery was an epoch in the history of the human mind and the East was the first to discover it. To watch in the Sacred Books of the East the dawn of this religious consciousness of man, must always remain one of the most inspiring and hallowing sights in the whole history of the world. In order to have a solid foundation for a comparative study of the Religions of the East, we must have before all things, complete and thoroughly faithful translation of their Sacred Books in which some of the ancient sayings were preserved because they were so true and so striking that they could not be forgotten. They contained eternal truths, expressed for the first time in human language. With profoundest reverence for Dr. S. Radhakrishnan, President of India, who inspired us for the task; our deep sense of gratitude for Dr. C. D. Deshmukh & Dr. D. S. Kothari, for encouraging assistance; esteemed appreciation of UNESCO for the warm endorsement of the cause; and finally with indebtedness to Dr. H. Rau, Director, Max Muller Bhawan, New Delhi, in procuring us the texts of the Series for reprint, we humbly conclude. DIFFICULT as the historical problems are which the Dharma-sutras translated in vols. ii and xiv of this Series offer, they are infinitely less complicated than those connected with the metrical law-books and especially with the Manu-smriti, or, to speak more exactly, with Bhrigu’s version of the Institutes of the Sacred Law proclaimed by Manu. 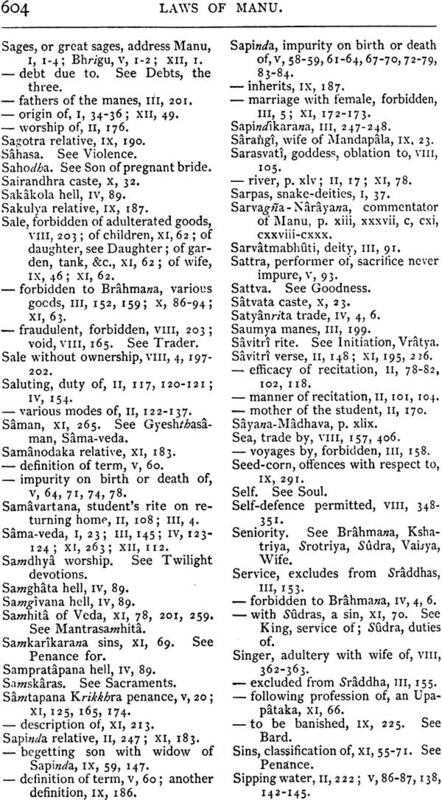 Though mostly the materials available for the inquiry into the history of the Dharma-sutras are scanty, and in part at least belong to the floating traditions which are generally current among the learned, but of uncertain origin, they not only exhibit no extravagancies, but agree fully with the facts known from strictly historical sources. Moreover, and this is the most important point, though the text of the Dharma-scitras has not always been preserved with perfect purity, they have evidently retained their original character. They do not pretend to be anything more than the compositions of ordinary mortals, based on the teaching of the Vedas, on the decisions of those who are acquainted with the law, and on the customs of virtuous Arias. In some cases their authors say as much in plain words. 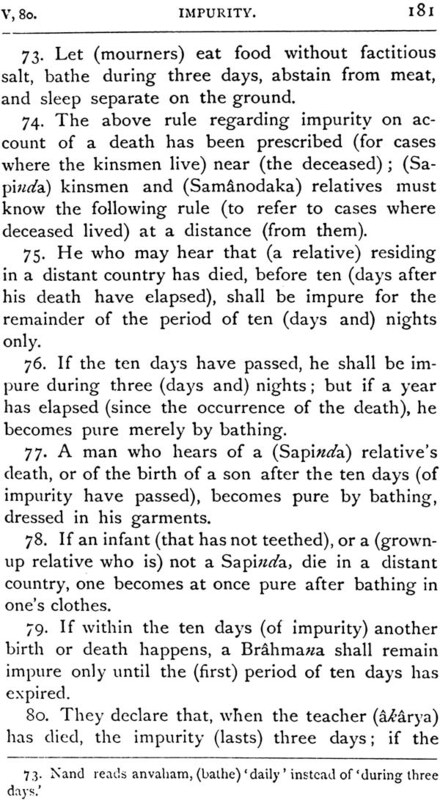 Thus Apastamba repeatedly laments the sinfulness and the weakness of ‘the men of later times,’ and Sauterne warns against an imitation of the irregular conduct of the ancients whose great ‘luster’ preserved them from falling. It is, further, still pc5ssible to recognize, even on a superficial examination, for what purpose the Dharma tires were originally composed. 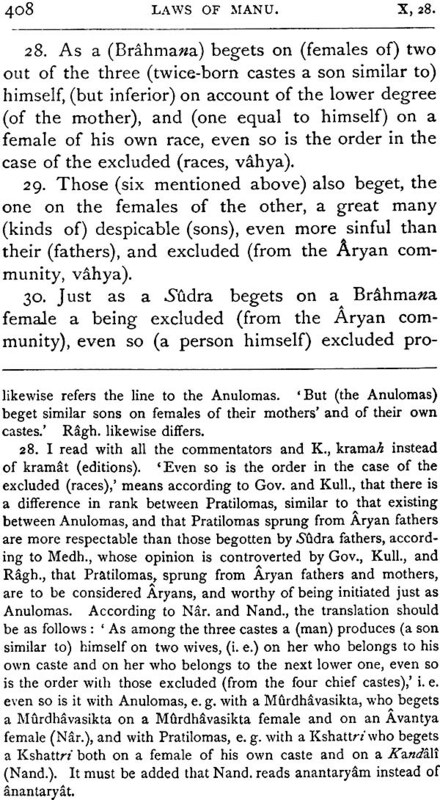 Nobody can doubt for a moment that they are manuals written by the teachers of the Vedic schools for the guidance of their pupils, that at first they were held to be authoritative in restricted circles, and that they were later only acknowledged as sources of the sacred law applicable to all Aryans. This fact is fully acknowledged by the Hindu tradition, even in cases where the Dharma-sitars no longer are the property of particular Vedic schools. 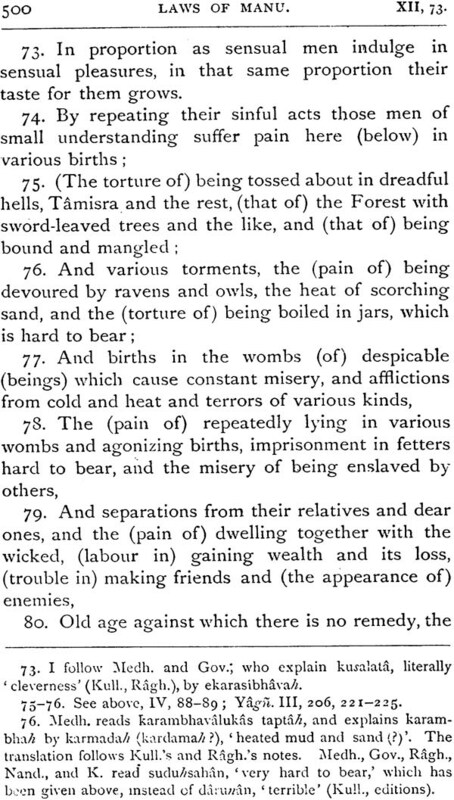 The metrical Smritis, on the other hand, are surrounded by clearly fictitious traditions, by mythological legends which either may have grown up spontaneously, because the real origin had been forgotten, or may have been fabricated intentionally in order to show that these works possess divine authority and, hence, have claim to implicit obedience on the part of all Arias. Nay, what is more, such legends or portions of them have been introduced into the text, and obscure the real character of the Smritis. These peculiarities are particularly marked in the Manava Dharmasâstra, where the whole first chapter is devoted to the purpose of showing the mighty scope of the book, and of setting forth its divine origin as well as the manner in which it was revealed to mankind. 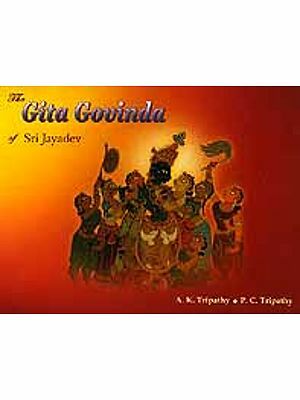 Its opening verses narrate how the great sages approached Manu, the descendant of self-existent Brahman, and asked him to explain the sacred law. Manu agrees to their request, and gives to them an account of the creation as well as of his own origin from Brahman. After mentioning that he learnt ‘these Institutes of the Sacred Law’ from the creator who himself produced them, and that he taught them to the ten sages whom he created in the beginning, he transfers the work of expounding them to Bhrigu, one of his ten mind- born sons. The latter begins his task by completing, as the commentators call it, Manu’s account of the creation. First he gives the theory of the seven Manvantaras, the Yugas, and other divisions of time, as well as an incidental description of the order of the creation. 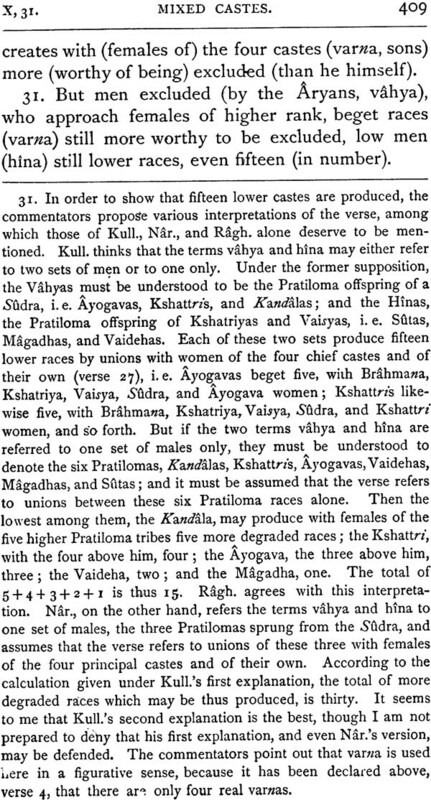 Next he briefly describes the duties of the four principal castes, passes then to an encomium of the Brâhmanas and of the Institutes of Manu, and winds up with an enumeration of the contents of all the twelve chapters of the work, which he promises to expound ‘exactly as it was revealed to him.’ In the following chapters we find frequent allusions to the situation which the first describes. 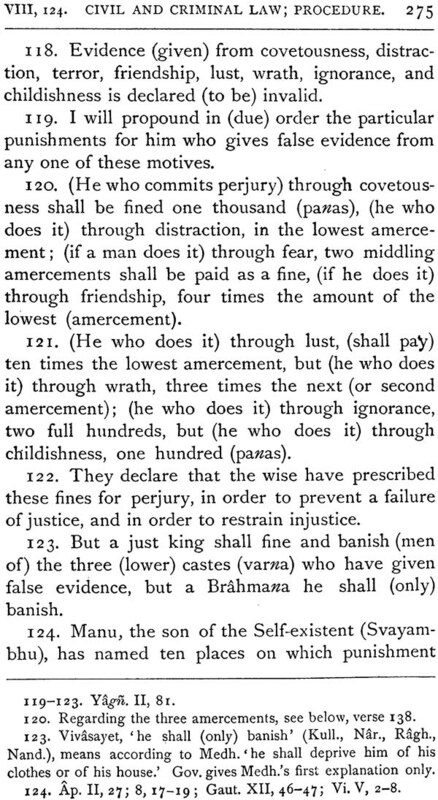 In about forty passages a new topic is introduced by a prefatory verse which contains phrases like ‘such and such a matter has been explained to you, now listen to,’ &c., or ‘I will next declare,’ &c.
Twice (V, 1—3 and XII, i—a) the sages are represented as interrupting Bhrigu’s discourse and expressing their desire to be instructed on particular points, and on both occasions Bhrigu is again named as the narrator. Moreover in a number of verses’ Manu is particularly mentioned as the author of certain rules, and II, 7 the authoritativeness of Manu’s teaching is emphatically asserted, ‘because he was omniscient.’ In two other passages Manu appears, however, in different characters. VII, 42 he is enumerated among the kings who gained sovereignty by their humility, and XII, 123 he is identified with the supreme Brahman. 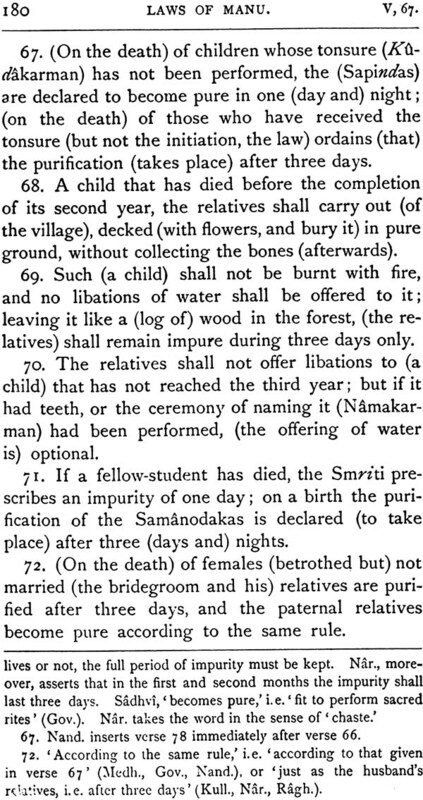 This account of the origin of our Manu-smriti would have to be slightly modified by those who accept as genuine the verse2 which stands at the beginning of the Smriti according to the commentators Govindarâga, Narâyana, and Raghavânanda, as well as according to the Kasmir copy and other MSS. As this verse contains an invocation of the self- existent Brahman, and a promise to explain the laws which Manu taught, it indicates, as Govindarâga says , that ‘some pupil of Bhrigu recites the work which had descended to him through an unbroken line of teachers.’ According to this version we have, therefore, a triple exordium instead of a double one, and our Manu-smriti does not contain the original words of Bhrigu, but a recession of his recension such as it had been handed down among his pupils. The additional verse is apparently intended to make the story more plausible. The remarks which the commentators make on this narrative are scanty, and, though they are meant to support its credibility, they are, partly at least, calculated to discredit it. Medhâtithi states in his remarks on Manu I, I, that the Pragâpati Manu was ‘a particular individual, perfect in the study of many branches of the Veda, in the knowledge (of its meaning) and in the performance (of its precepts), and known through the sacred tradition which has been handed down in regular succession. 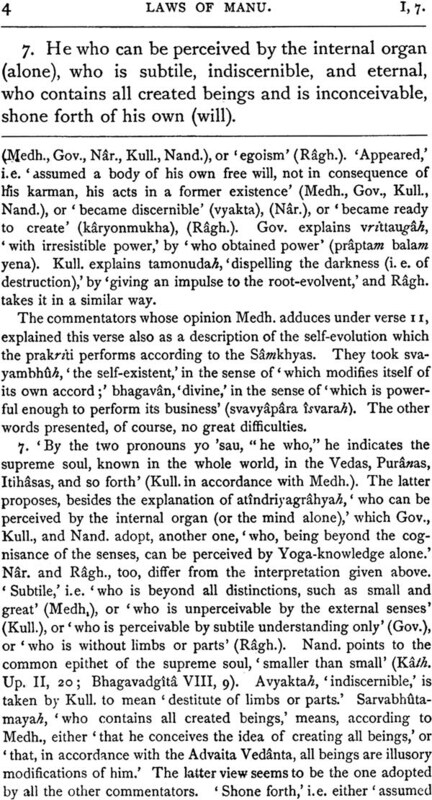 ‘ Govindarâga closely agrees, and says that Manu is ‘a great sage, who received his name on account of his acquaintance with the meaning of the whole Veda, who is known to all learned men through the tradition handed down in regular succession, and who is entrusted with causing the creation, preservation, and destruction (of the world)2.’ Kullüka, on the other hand, though he agrees with respect to the etymology and explanation of Manu’s name, deriving it from m an, ‘to know (the meaning of the Veda),’ and though he admits the human character of his Sâstra, somewhat differs in the description of the person. Referring to XII, tz, he declares Mann to be a manifestation or incarnation of the supreme Soul. Further, Medhâtithi and Kullüka adduce in their remarks on the same verse various passages from the Sruti and the Smriti, tending to prove the authoritativeness of the Manu-smriti. 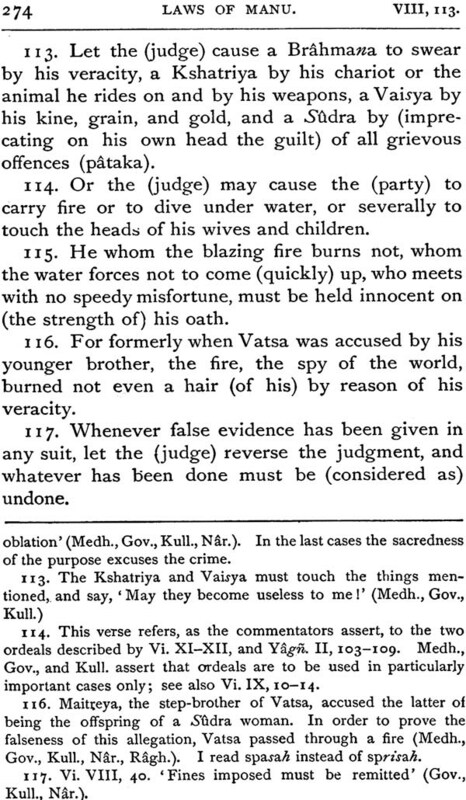 Both quote slightly varying versions of the famous Vedic passage which declares that ‘All Mann said is medicine.’ Medhâtithi adds only one more anonymous verse, to the effect that ‘the Vedas were proclaimed by the great sages, but the Smârta or traditional lore by Manu .‘ Kullfka gives two other passages, one from the Brihaspati-stnriti which places Mann’s Sâstra at the head of all works of the same class, and another from the Mahâbhârata which declares that ‘the Purâias, Manu’s laws, the Vedas, and the medical works must not be opposed by (adverse) reasoning.’ Both commentators mention also that the pre-eminence of Manu’s teaching is admitted in other passages of the Vedas, the Purânas, the and the Smritis. Finally, in the notes on Manu I, 58, they discuss the question, how the Smriti can be called the Mánava Dharmasâstra, though, as is admitted in the work itself, Brahman was its real author. Medhâtithi offers two explanations. First he contends that Brahman produced only ‘the multitude of injunctions and prohibitions,’ while the work itself was composed by Manu. Next he says that, according to others, the Sâstra may be called Manu’s, even if It were first composed by Brahman. In proof of this assertion he points to the analogous case of the river Ganges, which, though originating elsewhere, i.e. in heaven, is called HaimavatI, because it is first seen in the Himavat or Himalaya, and to that of the Kâthaka Sâkhâ, which, though studied and taught by many others, is named after Katha. 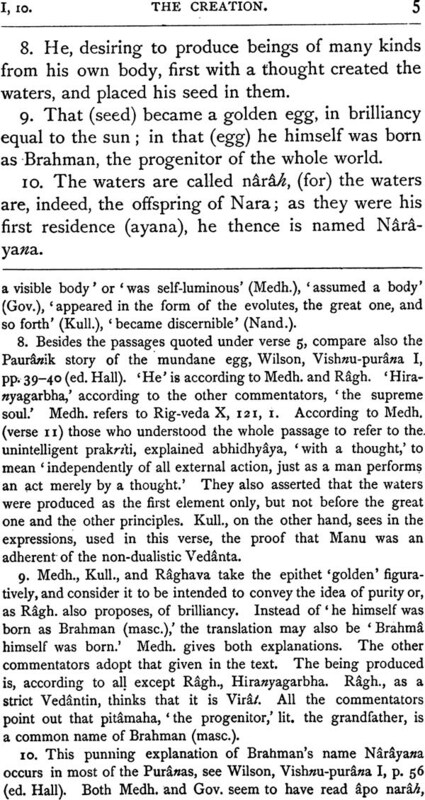 In conclusion, he adds, ‘Nrada also records, This work, consisting of one hundred thousand verses, was composed by Pragâpati (Brahman); it was successively abridged by Manu and others i.” Kullka, who gives a somewhat insufficient abstract of Medhâtithi’s discussion, refers to the same passage of Nârada, and bases on it his own explanation of I, 58, according to which it means that l3rahman first composed the law-book, and that Manu condensed its contents in his own language and taught it in that form to his pupils.